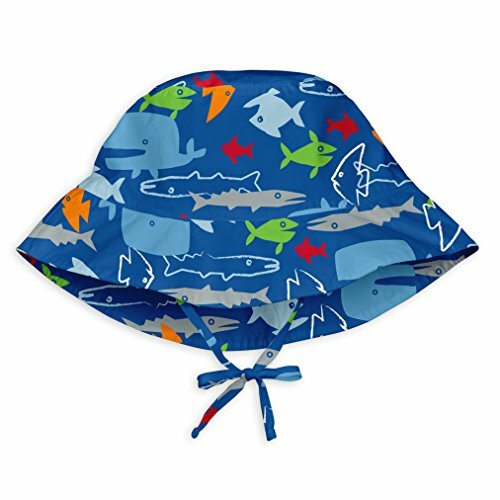 Hisharry Baby Animal Bucket Hat made with 100% cotton Lightweight & Breathable and wide brim for the best sun protection coverage for babies, toddlers, and kids! • Size Guide: 6-12 months: 18-18.8" Head circumference 12-24 months: 19-19.6" Head circumference 2-4 Years: 19.8-20.4" Head circumference 4-8 Years: 20.6-21.2" Head circumference The age we proposed is average for baby, please be sure to choose according to the baby's head circumference. 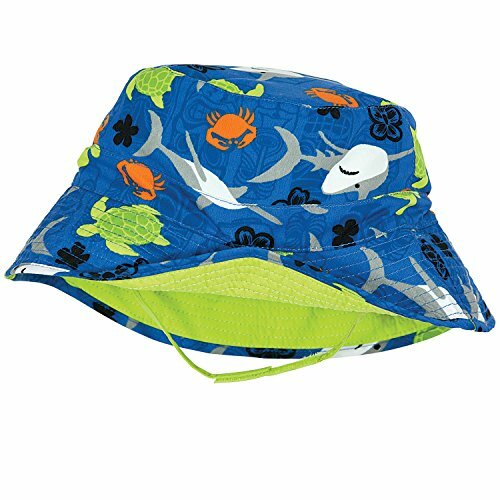 Key Features - Breathable cotton - Adjustable in size with drawstring - Chin strap with easy toggle adjustment - Packable for easy storage and travel -Sun protective toddlers' reversible bucket hat with wide brim -Designed with 2¼" brim, cute baby will stay cool under the sun/beach/outside • Care Instructions: Easy Care, Hand Wash, Line dry, Do not bleach • Package Include: 1 * Baby Bucket Hat FAQ: 1. Can the hat be stable in the wind? Answer: Yes,The chin strap is just for this purpose and for windy days. Fabric---100% cotton. Comfortable, soft, non-irritant, and fit the baby skin. 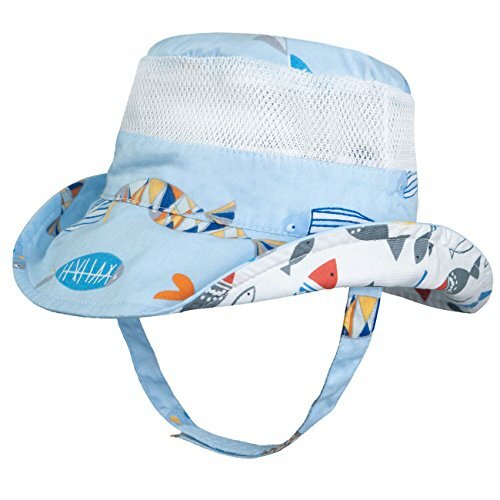 Give the customer the best experience to wear.Feature---Cute sun hat for baby girls. Fishes pattern. lovely one.Occasion---All of outdoor activities. Travel,Beach,Street.We always believe that Works of taste can refine the mind.Tips:① Due to the difference between different monitors, the picture may not reflect the actual color of the item.② There is 2-3cm difference according to manual measurement.③ We suggest that wash hand, please do not use machine wash.④ Folding packing, When you receive the hats, it might have some creases. It will recover for a short period of time. 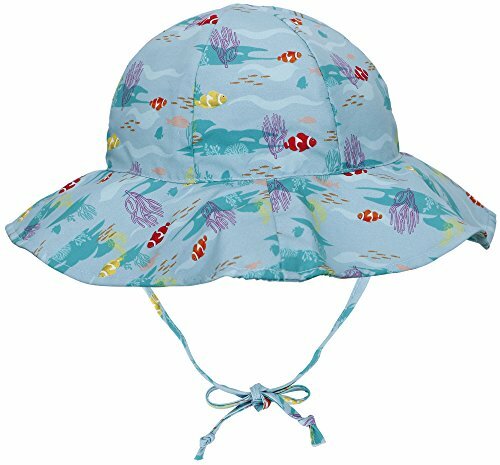 Flammi Baby Boys Toddler Cotton Bucket Hat Reversible Sun Hat UV Protection This hat is made of 100% cotton, soft, light, breathable, sweat-absorbent. 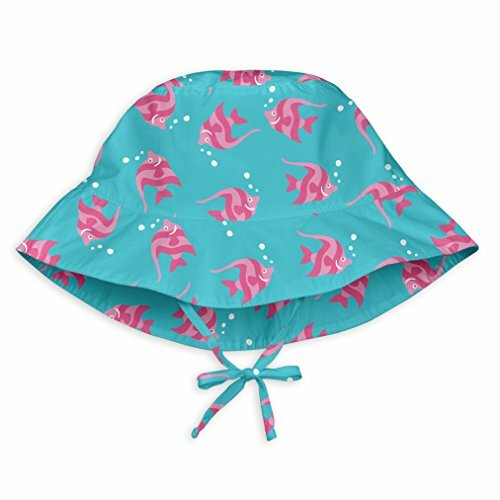 It is a reversible hat, 2 in 1 function, two sides with different pattern Chin strap design (except the Dinosaur Embroidery): Each side has a hole at brim for chin strap to go through, when you want to make the inside out for pattern change. Wash label is sewn on one side Size Guide 6-12 Months (Hat Circumference 18.9"/48cm); 12-24 Months ((Hat Circumference 19.7"/50cm); 1.5-3 Years (Hat Circumference 20.5"/52cm); 2.5-4 Years (Hat Circumference 21.3"/54cm) Fit for Head circumference that is 1-2cm smaller than the hat circumference. Suggested age is only for reference. How to measure head circumference: Measure around the most prominent part of your baby's forehead, just above the eyebrows, around the widest part the back of head. Package: 1 x Bucket Hat Care Instruction Hand wash; Do not bleach; Low Iron; Do not tumble dry; Do not dry clean Any problem, please contact us, we will immediately solve all of your worries! 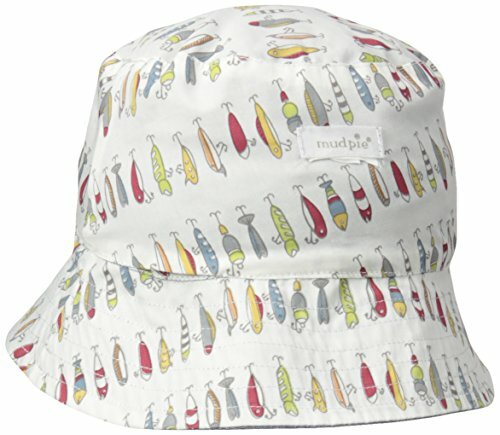 These stylish and roomy sun hats from Mud Pie are the perfect way to protect your little guy's head from sun exposure. 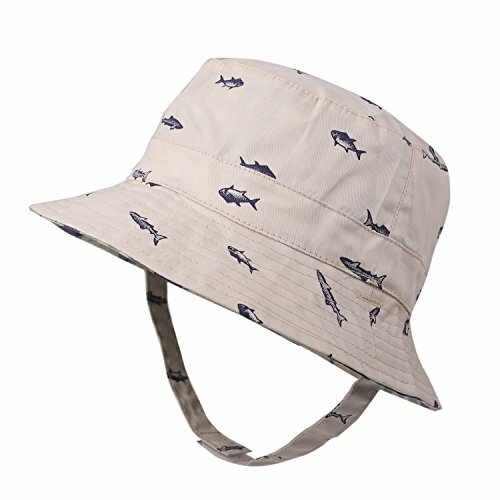 Looking for more Fish Sun Hat similar ideas? Try to explore these searches: Cut Bacon, Sigma Cycle Computer, and Malibu 1 Light Pendant. 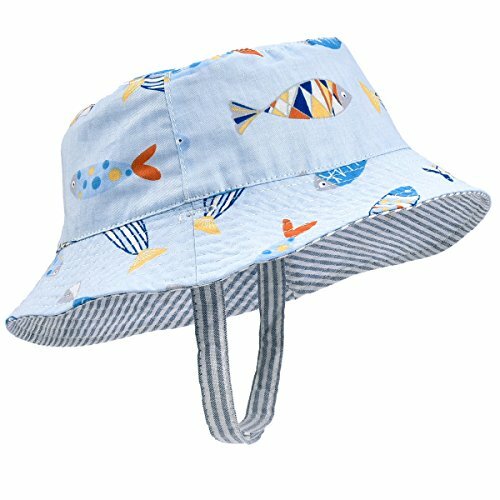 Look at latest related video about Fish Sun Hat. Shopwizion.com is the smartest way for online shopping: compare prices of leading online shops for best deals around the web. 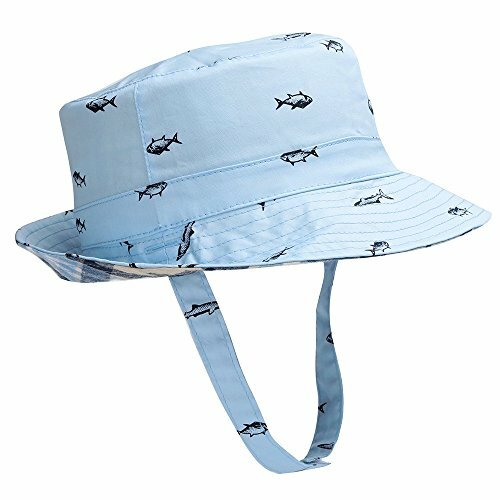 Don't miss TOP Fish Sun Hat deals, updated daily.